GeForce Experience: Another good reason to go with NVIDIA graphics? Nvidia's GeForce Experience app has gone beta. The new software automatically optimises PC games to deliver the best possible graphics and frame rates. Well, that's the idea, anyway. The new app is only on beta and restricted to 10,000 users and 30 games. It also helps make graphics driver management easier. As for how it works, the basic shizzle involves in-house testing at Nvidia with thousands of different hardware configurations. Out of that pops game-specific profiles with optimal settings to match your PC. What's more, there's also a degree of user feedback, so gamers will inform the process, too. The interface shows you what settings it's gone for, so you can also use it as a learning tool to boot. Both image quality and frame rates are targeted and the latter varies according to game type. So, hair-trigger shooters are are optimised for higher frame rates than brainbox strategy games. For now (and probably forever) GeForce Experience is limited to Nvidia graphics cards in Fermi and Kepler flavours. So that means GeForce 400, 500 and 600 Series boards. 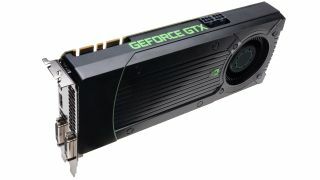 Nvidia says playing games at distinctly sub-optimal non-native resolutions and graphics settings is surprisingly common because people often install a game and fire it up without touching the settings. But even more experienced PC gamers would no doubt like a little help nailing the perfect settings. If GeForce Experience delivers on its promise, it'll be great for all kinds of gamers. The beta is expected to be made open-to-all in January with full release 1.0 out in Feb.